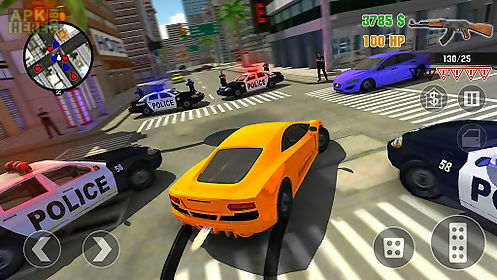 Clash of crime mad city war go game for android description: Deceive police double crossed the mafia have fun go for a drive on steep sport muscle cars earn money at various works promote your authority in the eyes of large mafias that all depends on you! 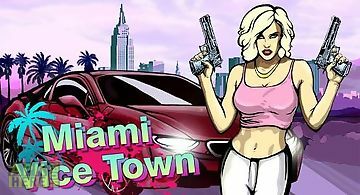 A huge number of weapons awesome cars girls shootings car pursuits actions in the second part of the famous game clash of crime mad city war go! Reload your weapon hit the gas and hold on tight it 39 s the most colorful action in your life. 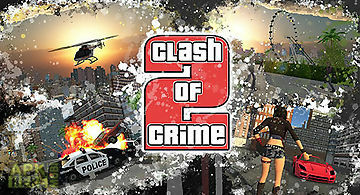 Clash of crime open a new world bringing to life the dark and seedy underworld of mad city. 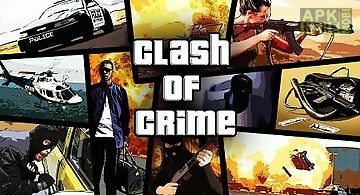 With a massive and diverse open world a wild cast of characters from every walk of life and the freedom to explore at will clash of crime mad san andreas puts the dark intriguing and ruthless world of crime at your fingertips. 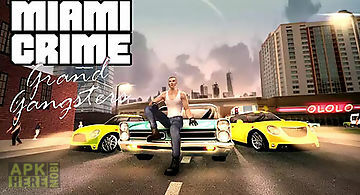 Features: countless hours of gameplay visually stunning updated graphics character and vehicle models high definition quality resolution gameplay optimized for touch screen devices customization traffic frequencyshocking mad city any blockbuster envy for the plot of this game! A lot of hurricanes job a variety of storylines a huge number of jobs to earn first money: pizza boy taxi driver ambulance driver and more mad city a huge urban sprawl ranging from the beach to the swamps and the glitz to the ghetto was one of the most varied complete and alive digital cities ever created. A ride on the wild side access insane weapons powerful arsenal of weapons and other equipment a huge car park where you will find the pick ups muscle cars and even helicopters combining open world gameplay with a character driven narrative you arrive in a town brimming with delights and degradation and given the opportunity to take it over as you choose. Help the hero survive in the mafia syndicate war. Complete dangerous orders of criminal bosses. 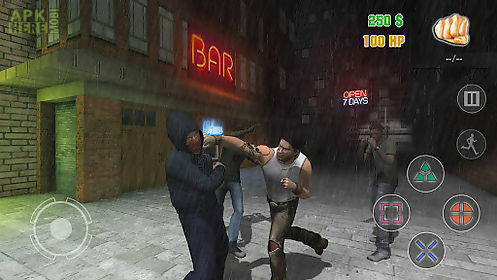 The main character of this android game must take his broth..
Help a young guy find his place in a harsh city. 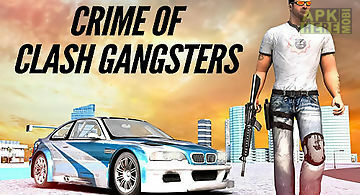 Do tasks of mafiosi bosses steal cars and fight your opponents. 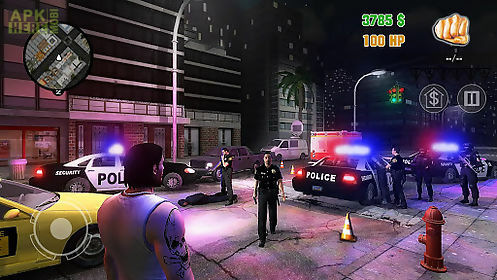 The main hero of this android game nick wa..
Take part in gangster clash taking place in the streets of a big city. Destroy enemies with the help of various weapons. Get ready for dangerous fire excha.. 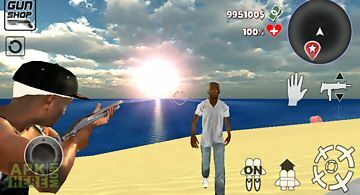 The game present to you the big open world of l. A. 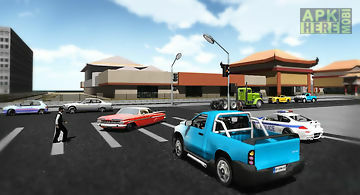 You have a huge vehicle park of autos bikes boats which are provided with realistic physics big open wo..
Old good version of mad city crime stories 1 missions third person control cool classic cars sporctars brilliant vehicle and drift physics open world envir..
Yacuzza 3: mad city crime take a member of japanese mafia across different districts of a huge city. Complete various tasks of criminal bosses. 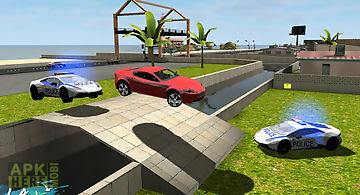 Help the he..
Take part in gun fights with bandits and police get ready for pursuits. 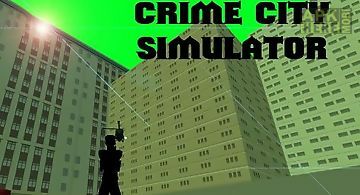 Try to survive in a city full of criminals. 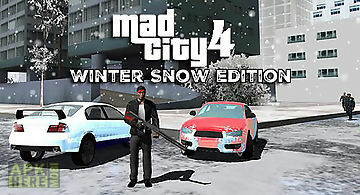 Explore different districts of a snowy ..
Help the hero get to the top of the criminal world in miami. Rob people steal cars and take part in shootouts. Guide the hero through a variety of dangerou..
Find your place in a big criminal city. Commit robberies fight against rivals. 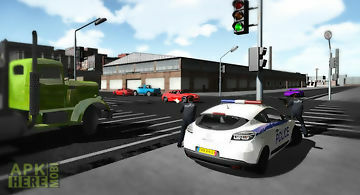 In this android game you will start your way from a bank robbery. It depends.. 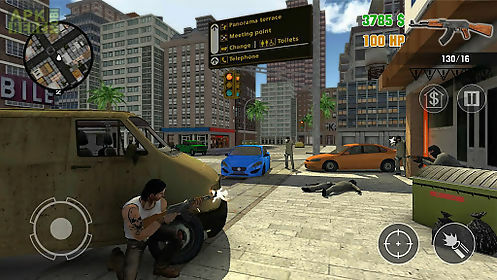 Try to survive in a dangerous city with an endless war between criminal gangs. Take part in absorbing shootouts. Run through the streets of the metropolis ..